Read Free Lumen: The Guise of Darkness! Also available in paperback and Kindle ($2.99) editions through Amazon! Find Christian rock and contemporary songs for Bible stories and passages, and songs related to topics relevant to life such as faith, prayer, and family relationships. Bon Mot Serenade - a short devotion with a song. What can you do with the Grace Rocks Song Concordance of contemporary Christian and Christian rock music? 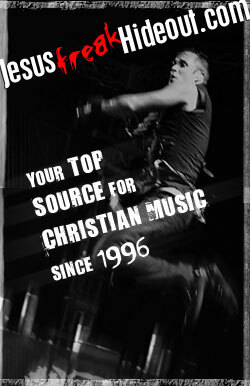 GraceRock Media loves Christian music, in particular, the message of the Gospel in contemporary Christian and Christian rock music. We will do all we can to make the Grace Rocks Song Concordance as useful as possible! But really, there are tens of thousands of songs worthy of inclusion in this database. We need people who share the love for this music and want to help others find songs that meet any need! Register for free. No private info collected! A song and a good word to celebrate what God will do today. Read now! Free advertising for your Christian book, music, or service! Join the Acts 16:17 Network today! Read the comic strip today! Copyright 2016 Patrick Bain All Rights Reserved. To honor and glorify God the Father and his one and only son Jesus Christ through the working of the Holy Spirit in our lives. We promote Christian artists and their music. We encourage people to grow in Christ. We attempt to do it with good humor and a sense of adventure! Is TobyMac the center of the Contemporary Christian Music universe? Read the story of why I choose to listen to Christian music.